Is it so hard creating a hot chocolate recipe, let me tell you that! I feel like every single hot chocolate flavour and combination under the sun has been put together. 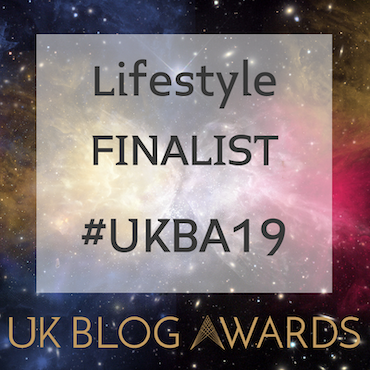 When creating all of the recipes for blogmas, I chose the bakes I wanted to do first, then I would think of the Christmas flavours that would best suit that bake, and then give it that 'Aycan's magic touch' whether that would be decorative, design, or shape. With so many traditional Christmas flavours, it was hard trying to pick the right combinations that not only I would enjoy, and I'd hope others would enjoy too, but also create recipes that haven't been done before. Hopefully, I've published a recipe that you'll like, if not, I still have four more recipes to go. 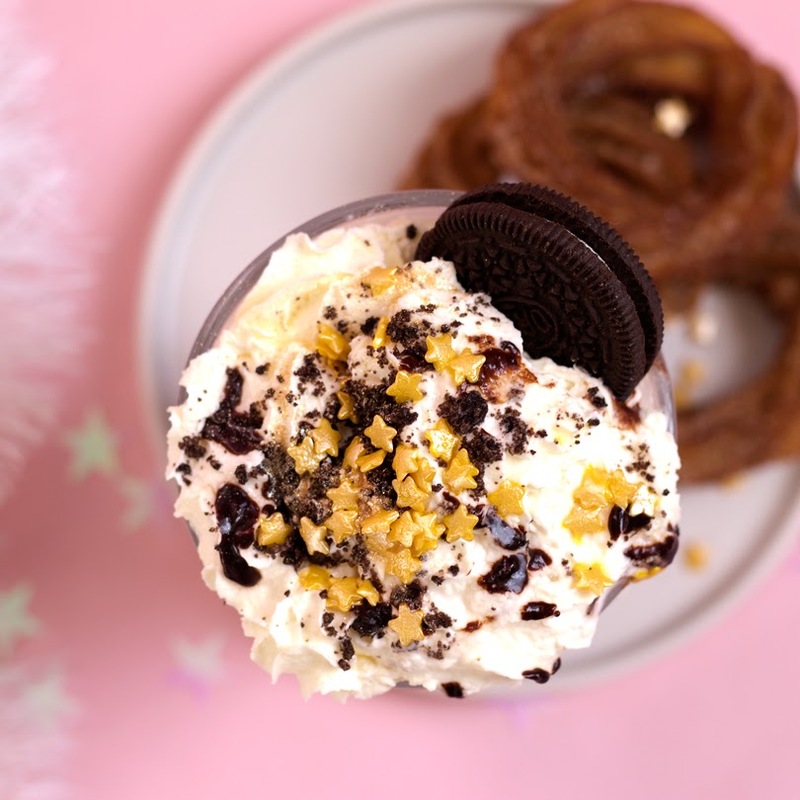 So, I was umming and ahhing on what flavour combination to experiment with, or whether to even publish a hot chocolate, and then I thought to myself instead of overthinking what I should be doing, just post a recipe that I absolutely love, and make time and time again; a cookies and cream hot chocolate. If you love a drink that is rich in flavours, sweet and creamy, you must try this recipe. Decorated with cream, chocolate sauce, and festive sprinkles (from Baking Time Club of course), it's such an indulgent treat. It's very easy to put together, which I'm sure you can imagine. You simply blend cookies and cream biscuits (I went for Oreos) to a fine crumb and mix that together with milk, cocoa powder and a little bit of sugar in a saucepan. Instead of using cocoa powder, you can add your own chocolate powder mix that you love, but try the mixture before adding the sugar as your drinking chocolate may already have sugars inside. 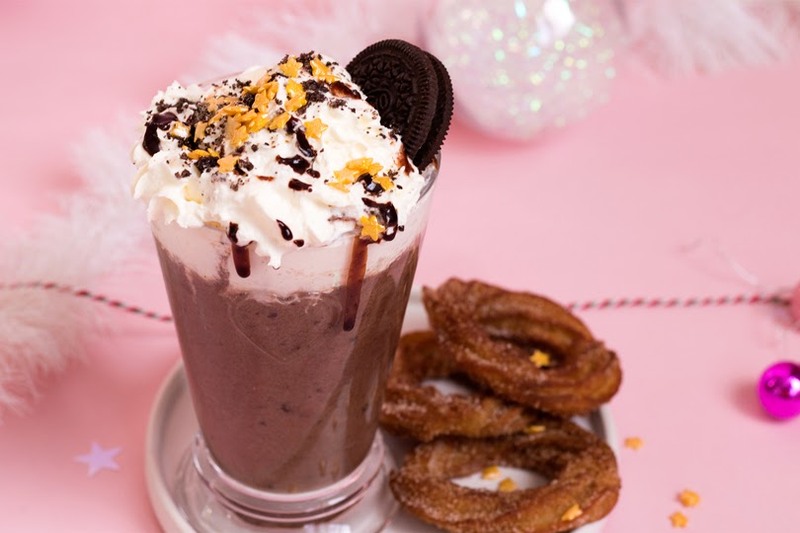 If you're feeling really creative, turn a simple hot chocolate into a freakshake. 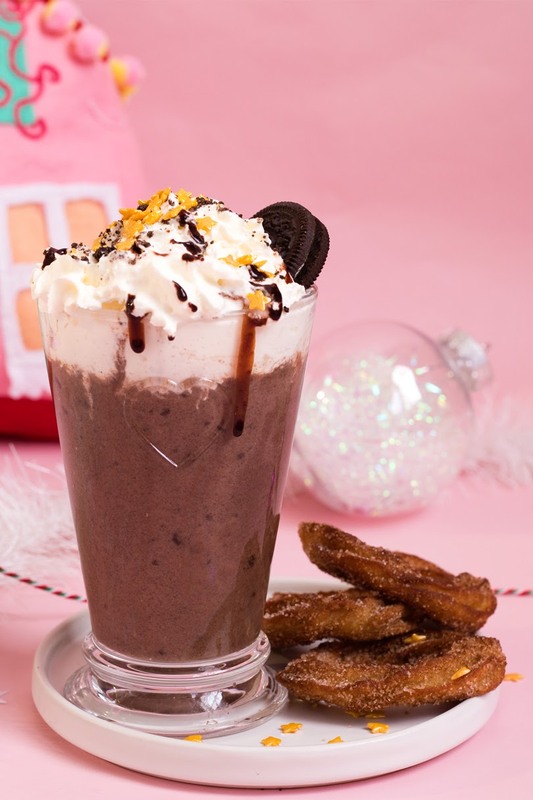 I've concocted a candy cane freakshake last year, where I used an ice cream shake, but you can swap that for a warm drink. Add layers of brownies, cakes, chocolate, and finish off with squirty cream. Like they say, if you're going to do something, make sure you do it right. If you're running low on Christmas present ideas, put all of the dry ingredients into a secure jar, add a ribbon with instructions, and maybe some topping, and you'll have your very own hot chocolate gift. These would be great inside a Christmas Eve box too, or to share among friends on cosy nights in. This recipe makes 1 indulgent drink! Add all the ingredients in a small saucepan over a low heat, and stir until it has all dissolved, and is warm. Pour into a heat-proof glass or mug, and enjoy with vegan cream, sprinkles and chocolate sauce. Let me know in the comments below what is your favourite hot chocolate combination? 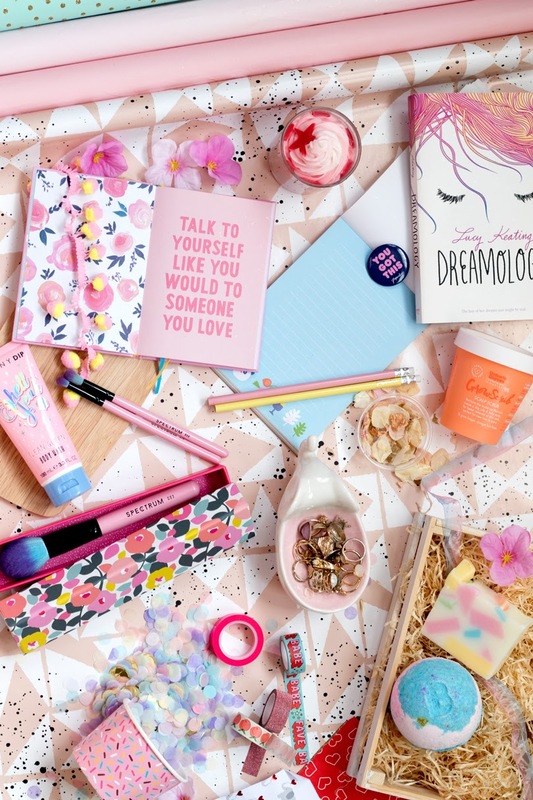 All of your my previous blogmas posts are right here in a fancy little advent calendar.